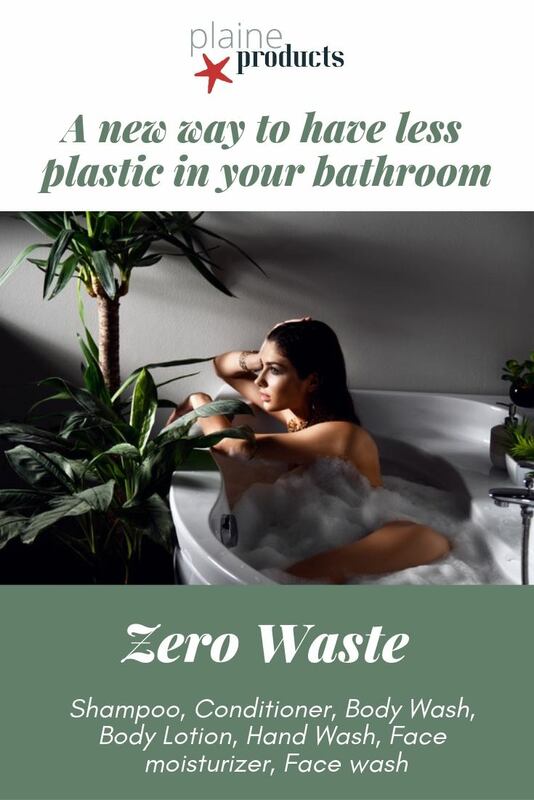 Zero Waste bathroom products family & ocean-friendly. Also vegan. 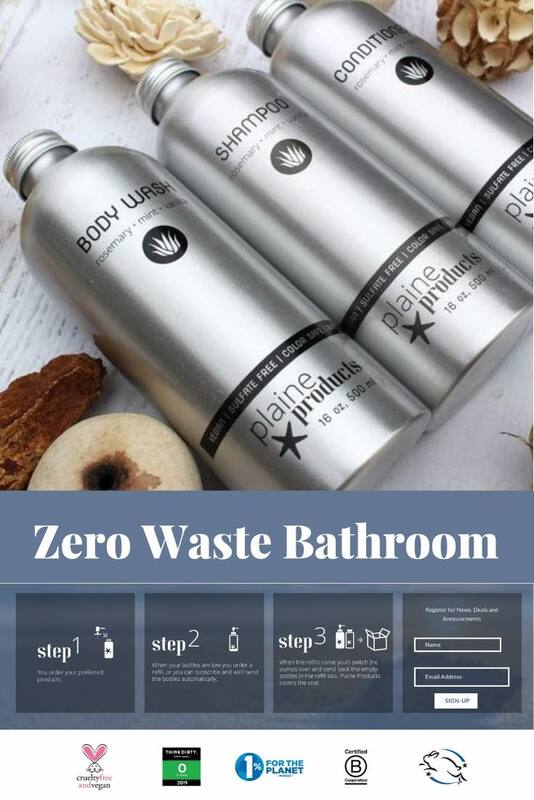 Home/Good brands/Zero Waste bathroom products family & ocean-friendly. Also certified vegan. 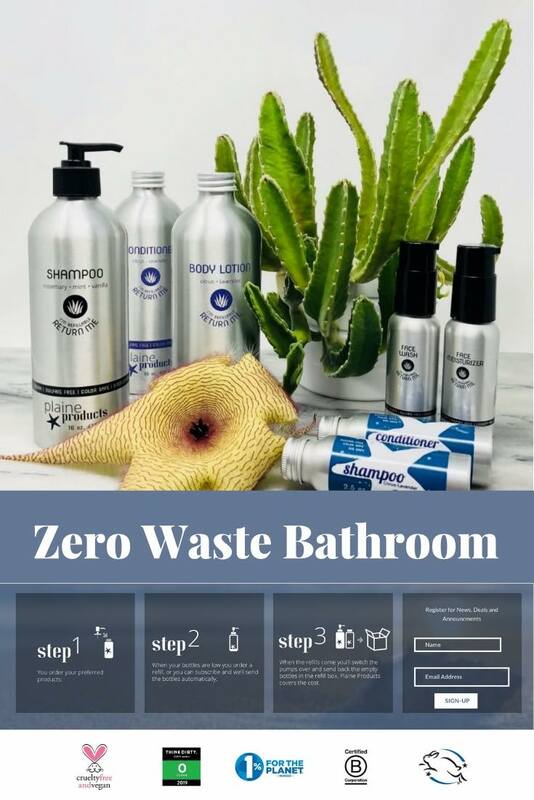 Zero Waste bathroom products family & ocean-friendly. Also certified vegan. 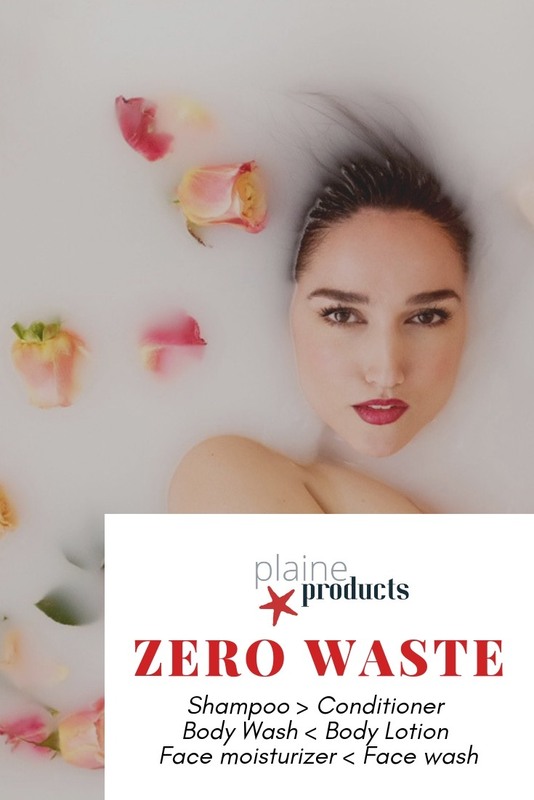 This brand has managed to offer a full range of Zero Waste bathroom products with all the richness and nutrients provided by mother nature. 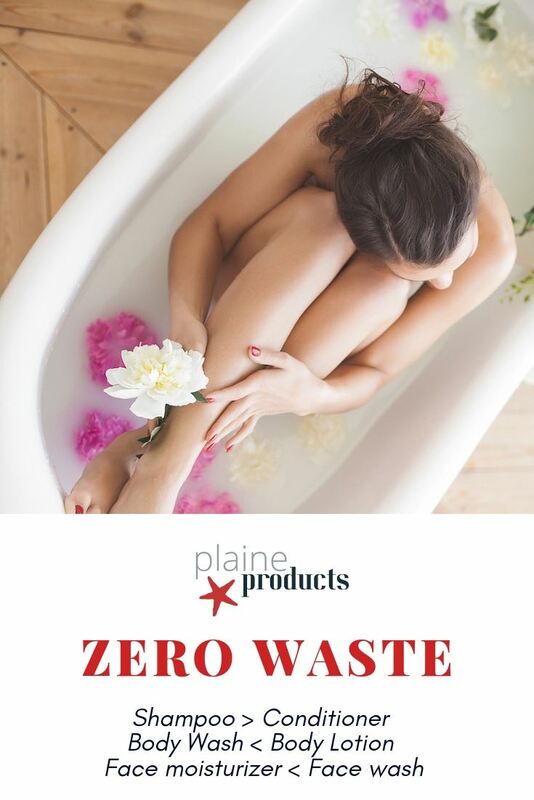 Every single decision made at Plaine Products has been thoughtful towards a circular economy. 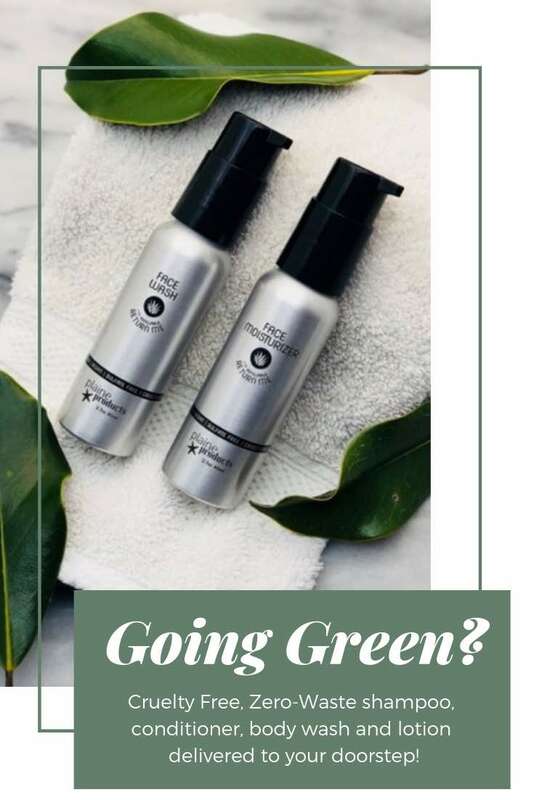 They have earned a vegan certification, are free of sulfates, parabens, phthalates and palm oil! Safe for kids, great for sensitive skin and all hair types. 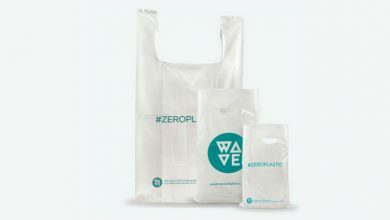 Join us in the packaging revolution and get rid of more single-use plastics! 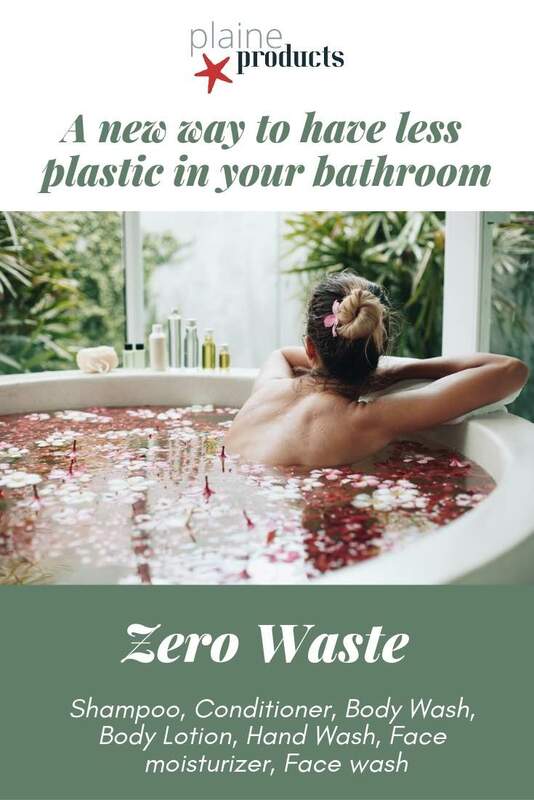 The bathroom is a big contributor to household waste. 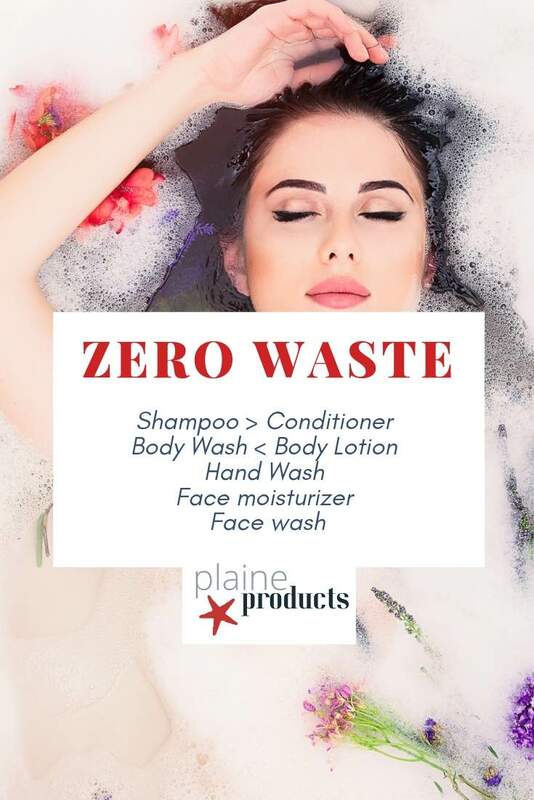 But for some reason (one of the factors is that we tend not to have a recycling bin in our toilet), only 50% of bathrooms or personal care products’ waste is recycled, compared to 90% of kitchen waste. 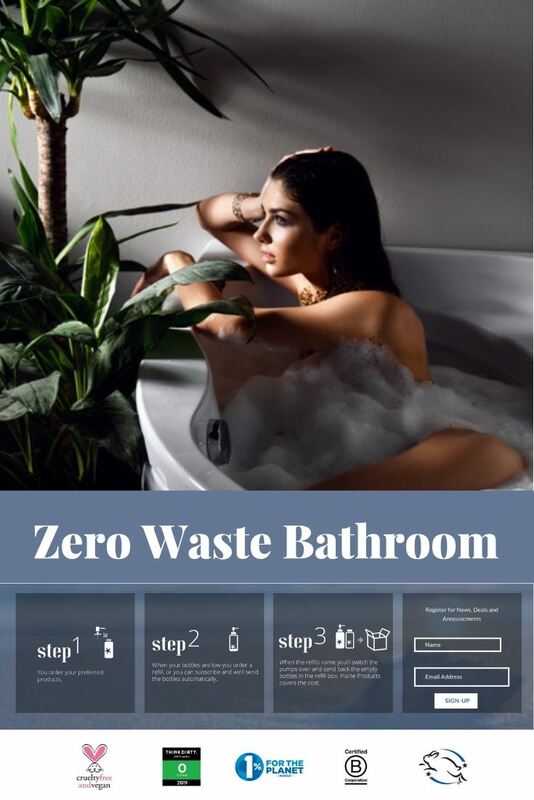 In fact, only 1 in 5 people consistently recycle items from the bathroom. 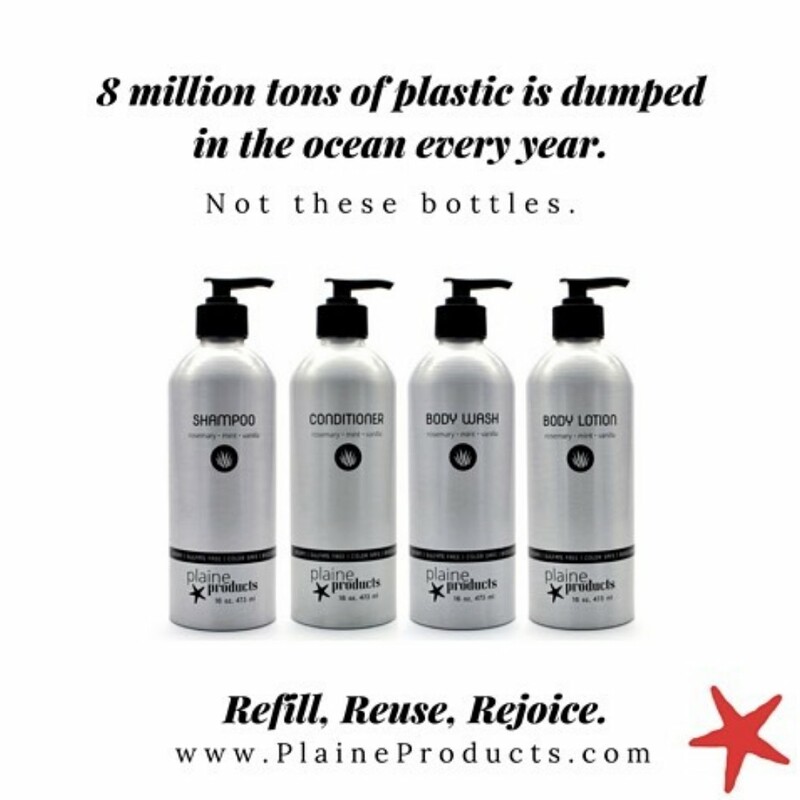 Just the shampoo bottles thrown out every year in the U.S. could fill 1,164 football fields. Think about that. 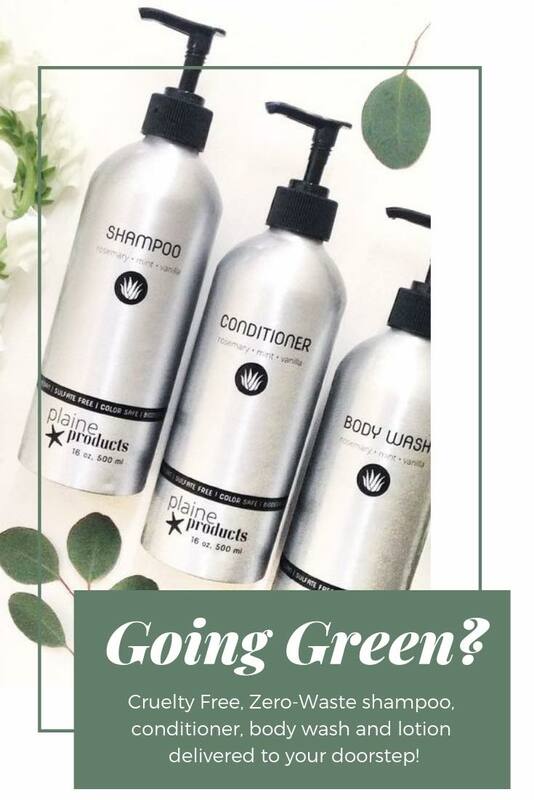 But what if you just reduced your recycling efforts to the minimum and get these refillable Plaine Products instead? 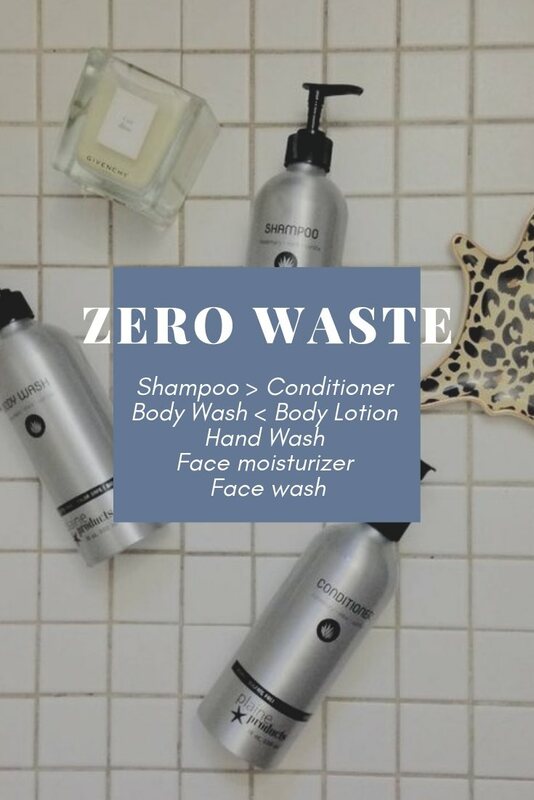 They are declared Zero Waste bathroom products, ranging from shampoo, conditioner, body wash, body lotion, hand wash, face moisturiser, face wash. OUUUH YES!! Available from Friday, November 23rd to Wednesday, December 5th. 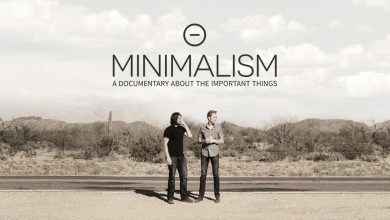 A perfect Christmas present for the ecowarriors aspirants! 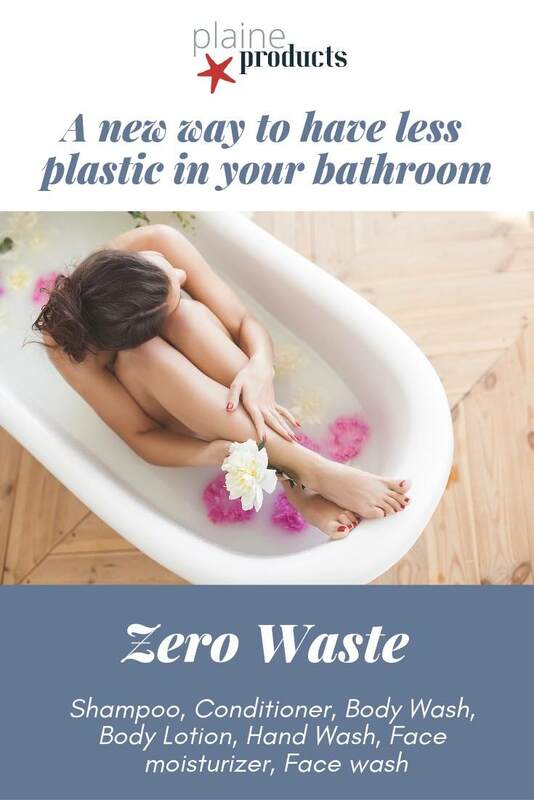 Zero waste bathroom products, easy-as! Basically, you order your preferred products. 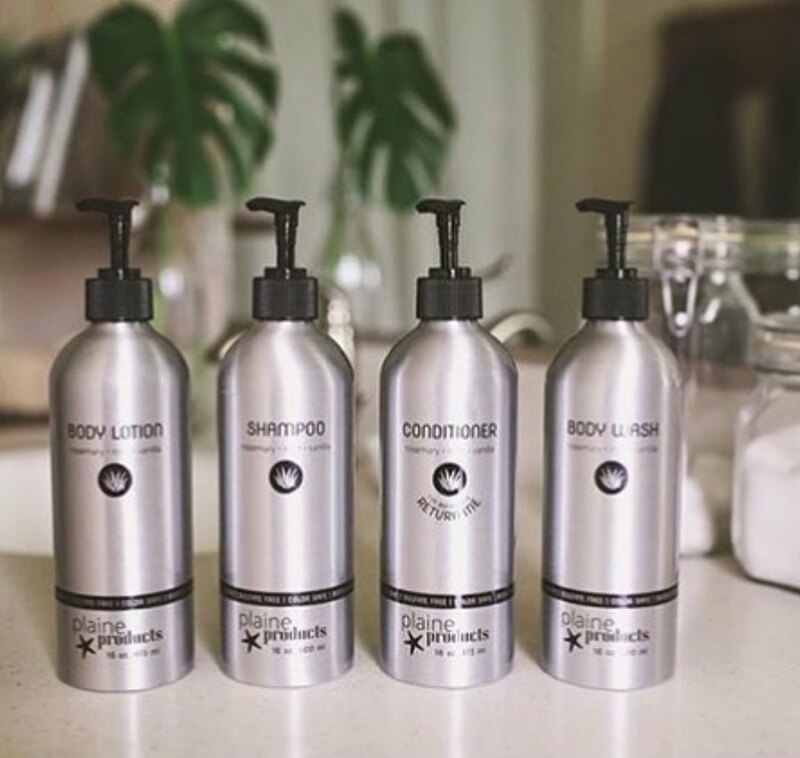 When your bottles are low you order a refill, or you can subscribe and we’ll send the bottles automatically. 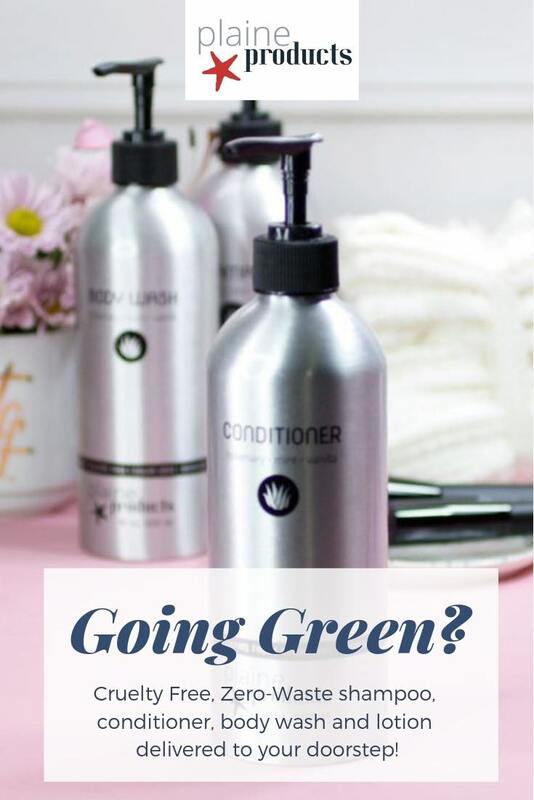 When the refills come you’ll switch the pumps over and send back the empty bottles in the refill box, for which Plaine Products covers the cost. They then clean the bottles, refill them and reuse them. For more detailed instructions check out their website. 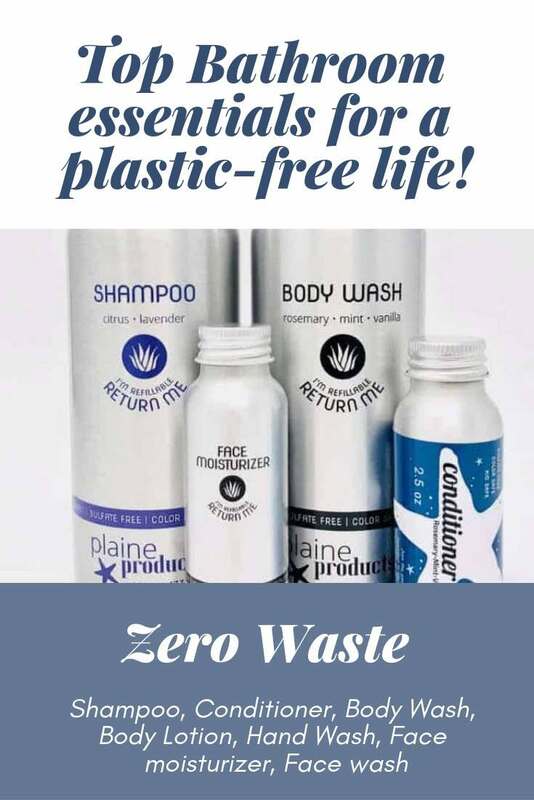 Zero waste products in general not always mean these are toxin-free. 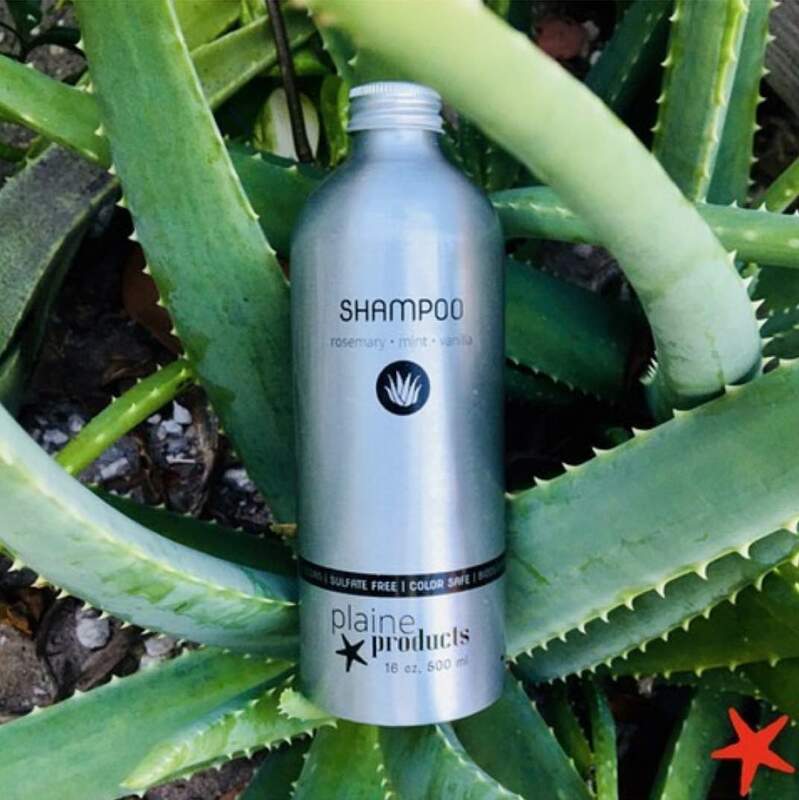 But the founders of Plaine Products have literally pulled their hair out to find rich and natural ingredients that were both, family & ocean-friendly. 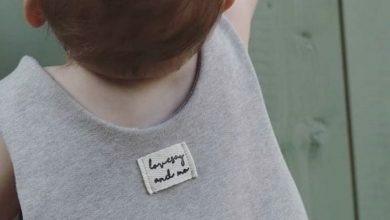 They are safe for kids, great for sensitive skin and all hair types (including colour safe!). The main ingredient is Aloe Vera Extract (also known as Medicinal Aloe), which by itself contains 75 nutrients, including 8-essential amino acids as well as vitamins A, B1, B2, B6, B12, C and E. Long noted for its healing properties, aloe vera is used in the treatment of wounds, burns and minor skin infections. 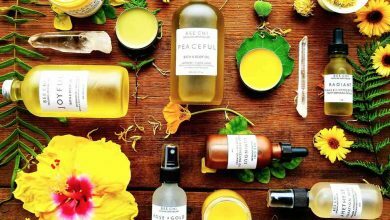 And from there, shampoo, conditioner, body wash, body lotion, hand wash, face moisturiser, face wash are complemented with a long list of ingredients provided by Mother Nature. You can read the label and find out more about all the components on each of them here. Have never tested on animals and are free of any animal byproducts. 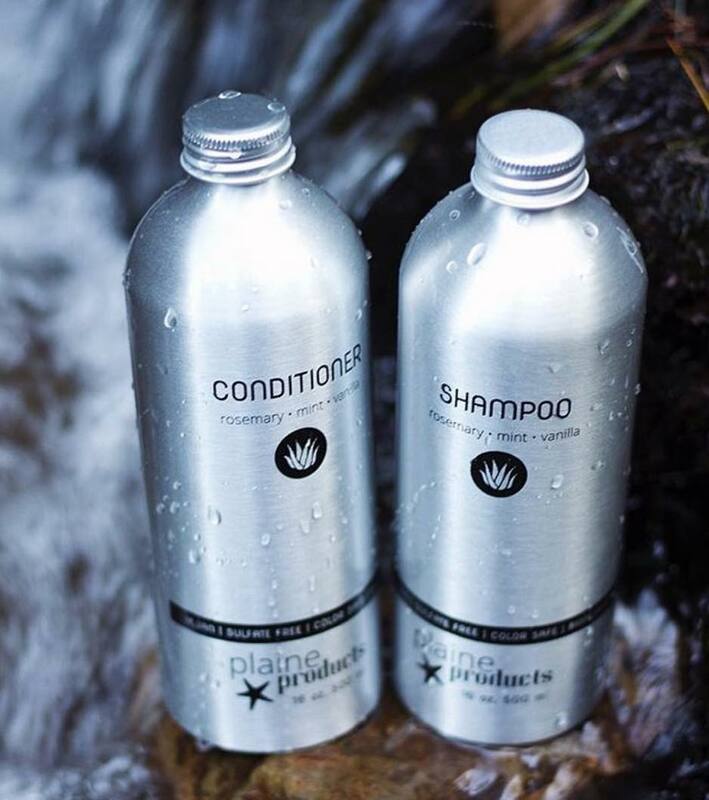 Are free of sulfates, parabens and phthalates. Are Palm Oil Free. Not only do we not use it as an ingredient, but it is also not hidden inside other ingredients. 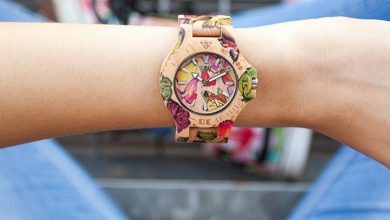 Are designed to biodegrade more easily than typical, chemical products. They are blended and manufactured with care in Florida. 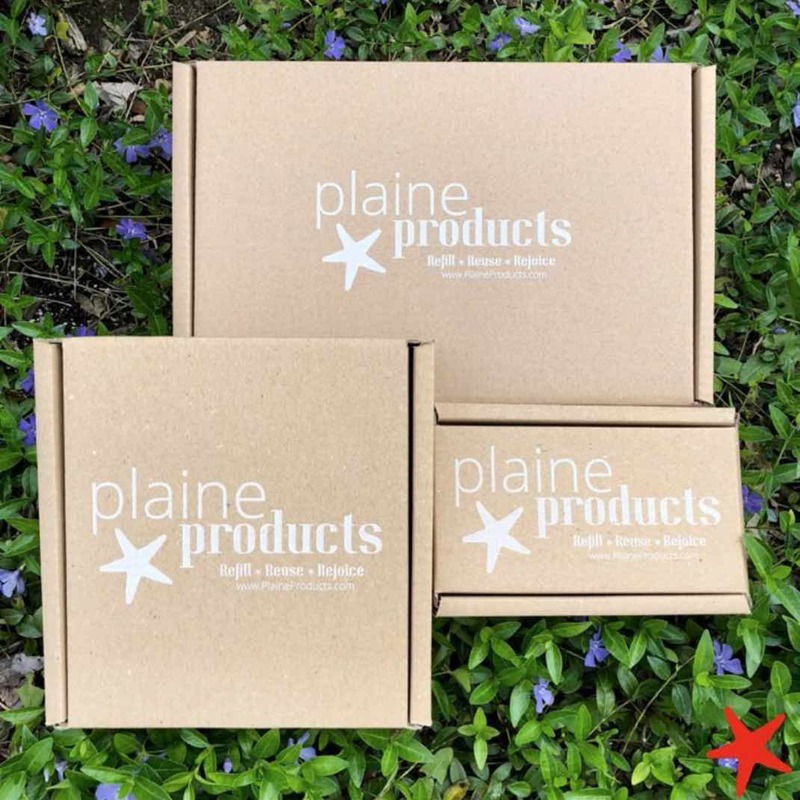 We founded Plaine Products to provide natural, quality products in sustainable packaging, making it easier for everyone to use a little less plastic in their lives. 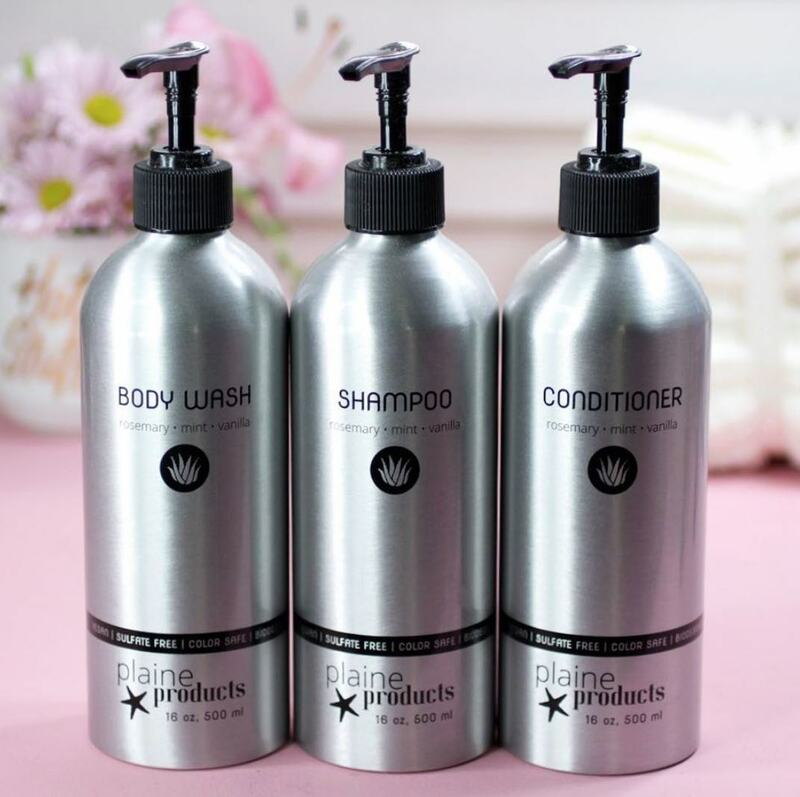 While plastic makes life (and bottling) easier, plain products have opted to use aluminium bottles for several reasons. 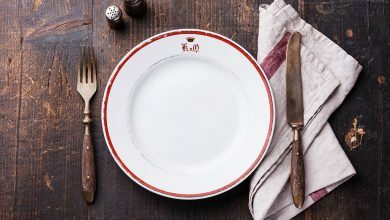 Unlike plastic, aluminium is able to be completely recycled without any loss in quality at a fraction of the initial production costs and energy requirements. 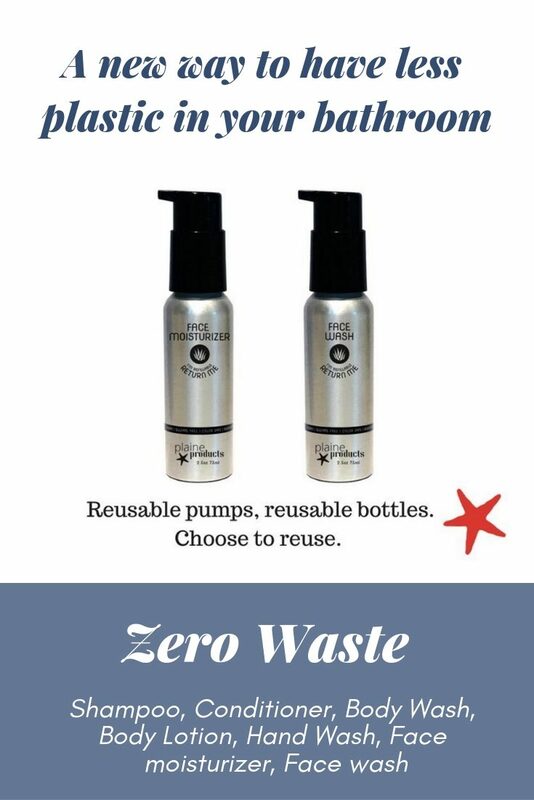 The bottles are strong enough to survive a number of trips – so they will be well worn before we recycle them. Historically, aluminium has proven to be one of the most important materials in successful recycling programs. 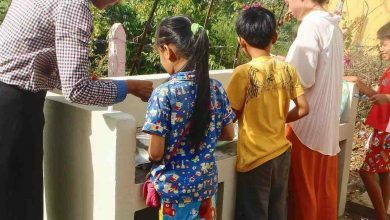 They are easily cleaned and sterilised, so they will use them again and again. 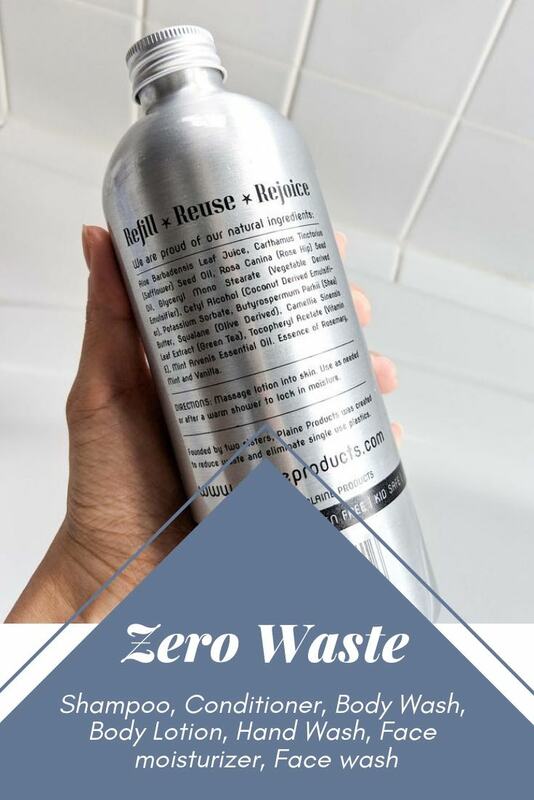 In comparison, when you recycle a plastic bottle only 10-20% of it can actually be successfully recycled, and even that portion is often downgraded to another lower form of single-use plastic. When it comes to the pumps, they are BPA free. 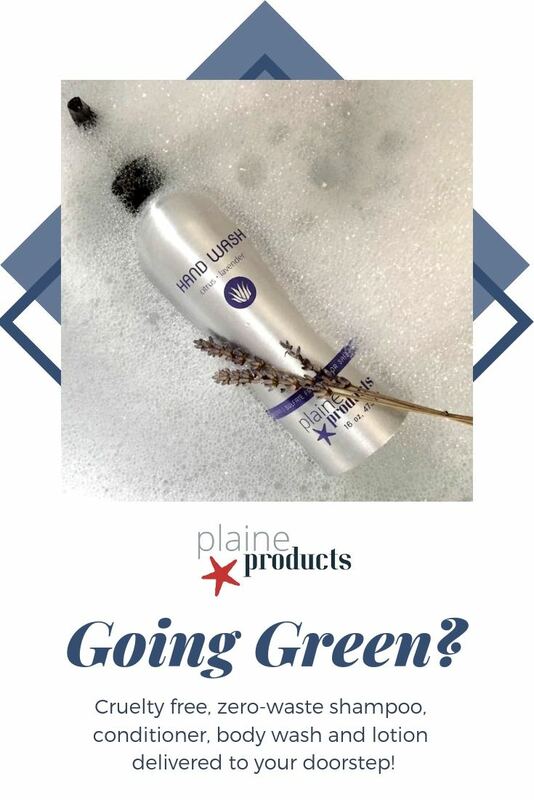 Also, the cosmetic grade liners inside the bottles are BPA and PVC free. 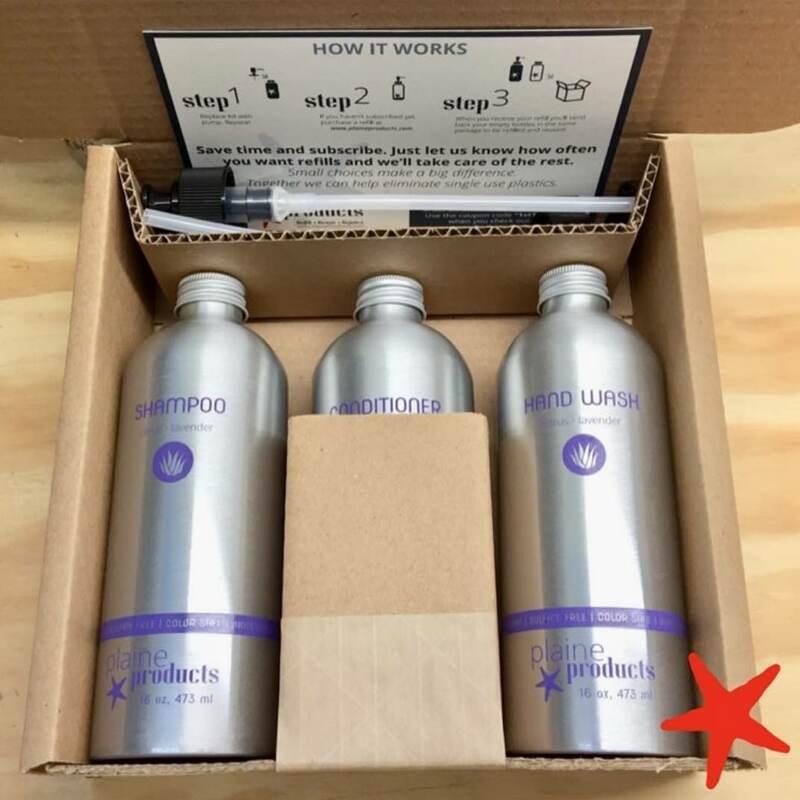 Furthermore, when it comes to the packaging it was also important for them to be eco-friendly. 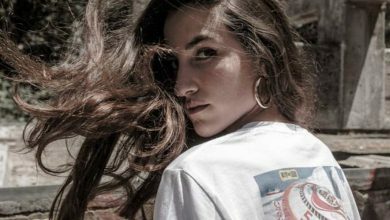 They work with EcoEnclose, a brand that provides boxes made from a mix of 95% post-consumer waste and 5% post-industrial waste. Absolutely NO new materials are used in the manufacturing of their green shipping cartons. 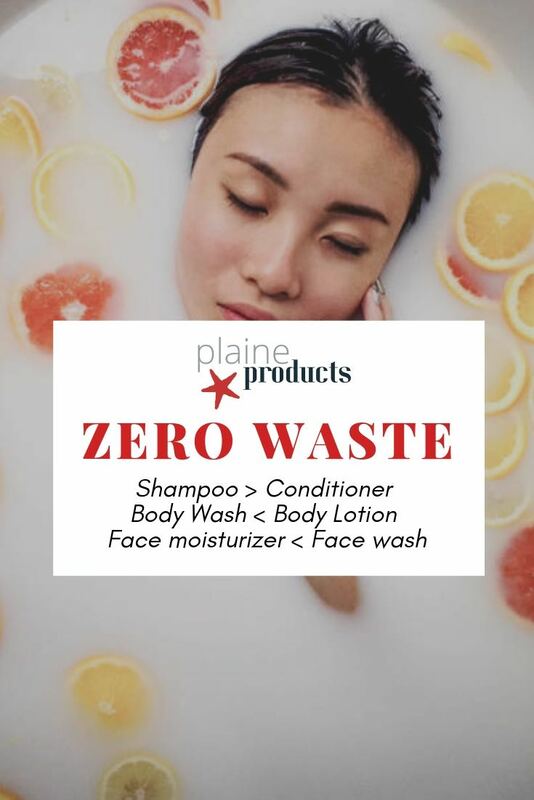 Plaine Products is designed to be part of the circular economy, which functions more like a natural ecosystem – nothing is ever wasted. 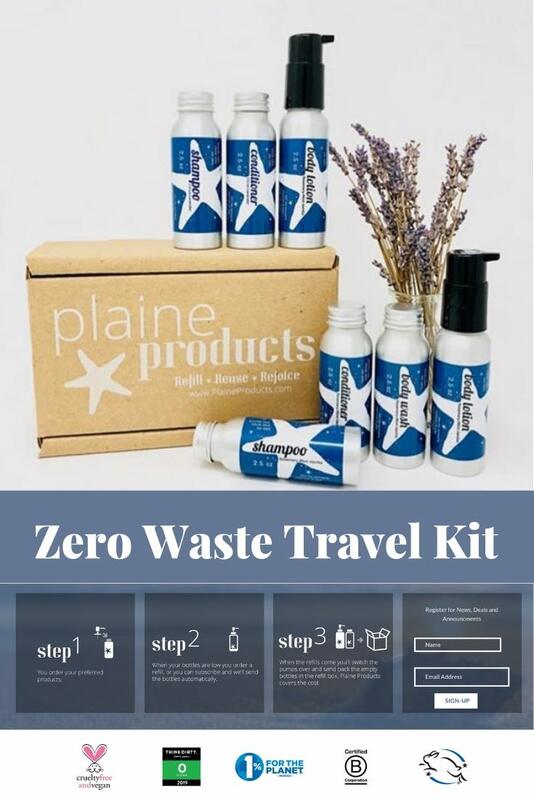 Also, by cleaning and reusing the jars Plaine Products is able to create jobs. 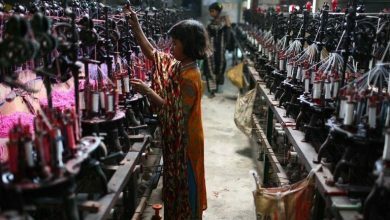 Research indicates that reuse and remanufacture create 8 – 20 jobs per thousand tons of material compared to 5-10 jobs created per thousand tons of material by traditional recycling. 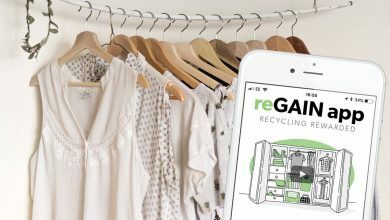 We hope you’ll join us in the packaging revolution! Together we can help eliminate single-use plastics. 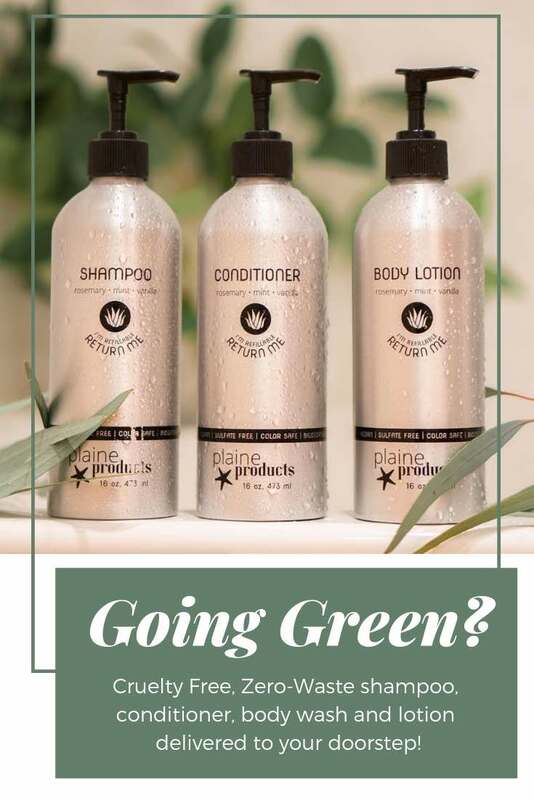 If you are based in the US & Canada you can get your Plaine Products now! 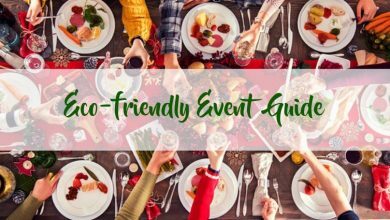 Need more tips for a Zero Waste life? Whether you are a beginner or not, we have them all!